Discover the grace and beauty of Classical Persian style dancing featuring folkloric steps and waltzes and expressive arm gestures. A variety of technique will be woven into a beautiful choreography to be performed and videoed in the second part of the workshop. 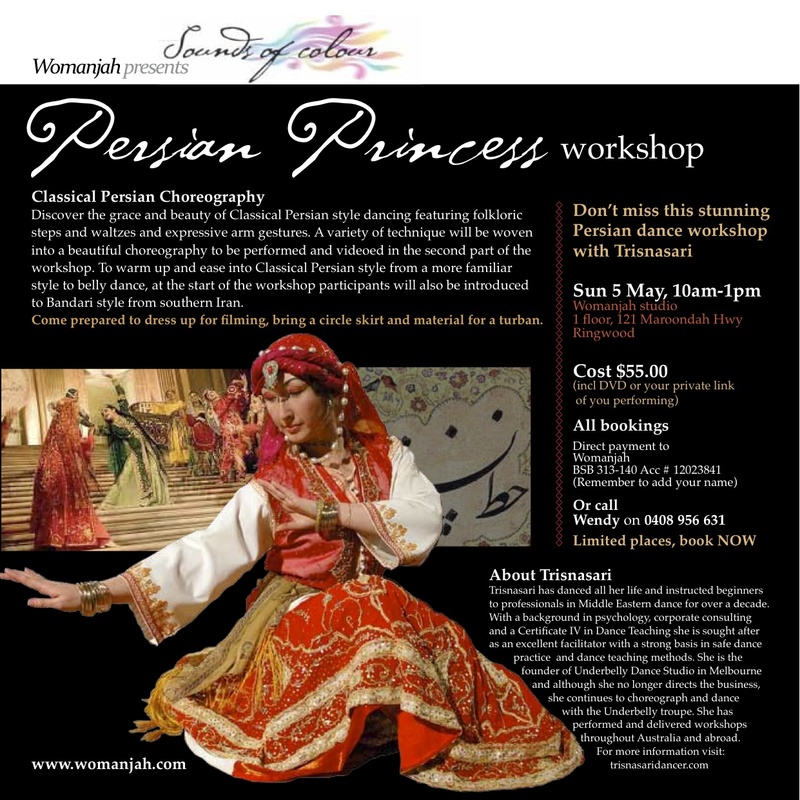 To warm up and ease into Classical Persian style from a more familiar style to belly dance, at the start of the workshop participants will also be introduced to Bandari style from southern Iran. Come prepared to dress up for filming, bring a circle skirt and material for a turban.